With cover art by Jessica Hills, this issue includes a printmaking 'featurette', an article about getting crafty in the kitchen along with a recipe for summer berry jam, interviews with creative geniuses and more. 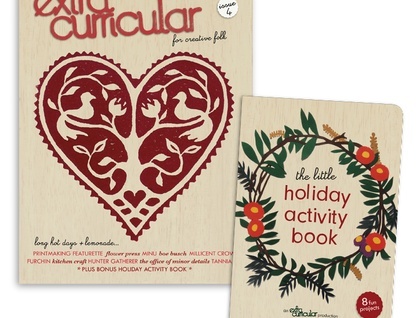 It comes with a bonus too - 'the little holiday activity book', to keep you occupied with things to make over the holidays. 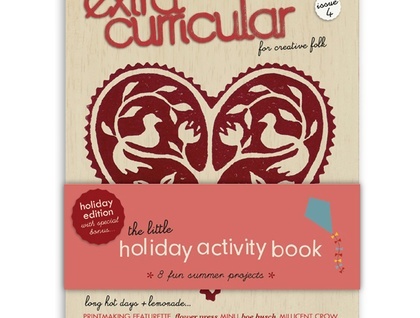 Extra Curricular is printed in full colour with vegetable based inks on recycled stock.